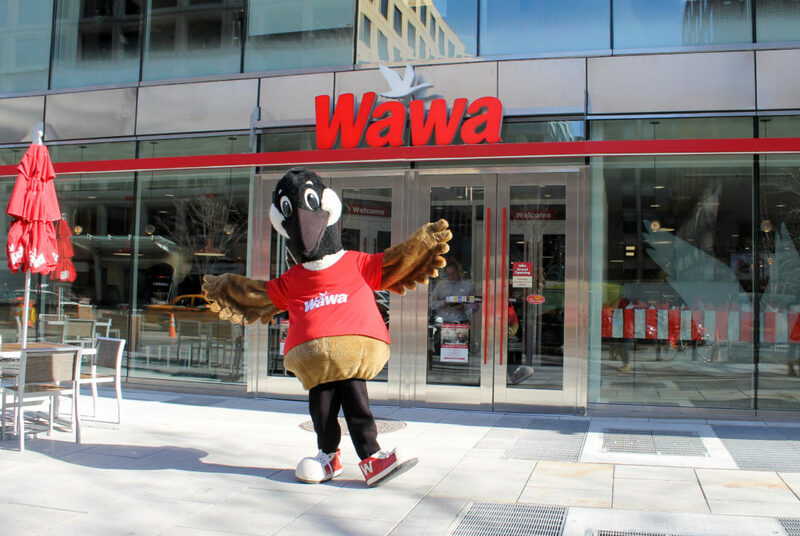 D.C.'s first Wawa location opened at 1111 19th St. NW about a year ago. Wawa is opening a second location in the District. The convenience store with a cult-like following will open its second location at 1222 Wisconsin Ave. NW in Georgetown Thursday. The grand opening celebration will include a ribbon-cutting ceremony, free coffee, food samples and a neighborhood-inspired latte available for a limited time. The store will be open 24/7 in the space that formerly housed Restoration Hardware, an upscale home goods store. The Georgetown outpost will have all of Wawa’s signature foods including hoagies, coffee and milkshakes. The menu also includes a Georgetown University-inspired latte dubbed the “Bulldog Double Shot” – a latte with salted caramel and a double shot of espresso topped with whipped cream and blue and silver sprinkles. The limited-edition drink will be available for the first three months the store is open. Along with free coffee – which will be available through the first weekend of service – the first 200 customers who enter the doors at 8 a.m. Thursday will also receive t-shirts. Wawa’s nonprofit organization, The Wawa Foundation, will present a check to the Georgetown Lombardi Cancer Center at the ribbon cutting ceremony and two organizations, the Capital Area Food Bank and Walking Warriors to End Breast Cancer, will face off in a sandwich building competition. The chain’s first D.C. location opened about a year ago just a few blocks from campus.